Strange, the workings of fate. Four hundred years and more I have waited for a learned man, a scholar eager for worldly recognition and fame – someone, in short, with whom I can do business – to leaf through these books until he reaches the One. And what do I get? A boy. Another boy. Yet he may serve my purpose. Two young souls – why should one suspect the other? The second can catch the first and my task will be done. 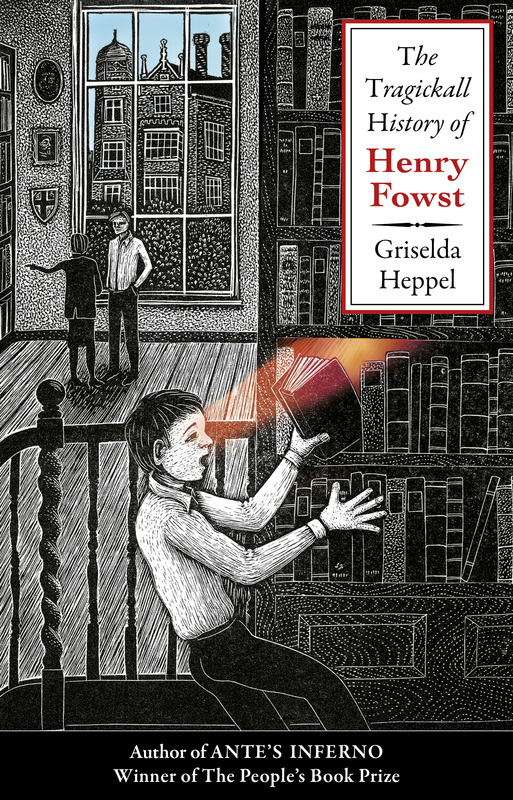 When 13 year-old Henry Fowst, desperate to escape his problems, stumbles on a sixteenth century diary written by a boy his own age, he sparks off a chain of events that brings a four hundred year-old mystery to life. Soon Henry’s absorbed in diary writer John Striven’s battles with his murderous foster brother, and when John decides to summon an ‘Angellick Spirit’ to his aid, it seems a really good idea to Henry too. Until, that is, Mephistopheles arrives. As with Ante’s Inferno, Hilary Paynter has created a stunning wood engraving which Pete Lawrence has designed into an atmospheric cover. The Tragickall History of Henry Fowst will appear with Matador (www.troubador.co.uk) in August 2015. Last year I had a fabulous World Book Day – in fact, a whole week – visiting a number of schools to talk about Ante’s Inferno and what inspired me to write it. Being ‘in between’ books just now, with The Tragickall History of Henry Fowst coming out later this year, I couldn’t think of a better way to spend the day than in Oxford’s Story Museum, taking part in picture book workshops enjoyed by 150 or so very lucky schoolchildren. First, Steve Antony read his delightful Please Mr Panda and The Queen’s Hat to a group of excitable Year Ones. I particularly enjoyed the story of a harassed Queen chasing her hat through all the landmarks of London. Then came the workshop bit: using felt tips and giant sheets of paper, Steve showed how to use a few simple lines to draw one’s own panda. The children quickly grasped the idea, creating splendid pictures of pandas wearing t-shirts, dresses, hats or fine heads of curly hair. David Attenborough would have been proud. Meanwhile Suzanne Barton introduced another group to The Dawn Chorus, her lovely book about a bird desperate to join the choir singing in the new day. Using a similar technique to Steve, she showed the children how to draw a bird like hers, and produced a treasure trove of colourful feathers, glitter and sparkly things to decorate them. But drawing and colouring is only half the story: the other half is… er… the story. In the next session Steve and Suzanne came together to encourage all the children to make up a tale, using building blocks of character, place, problem, solution. 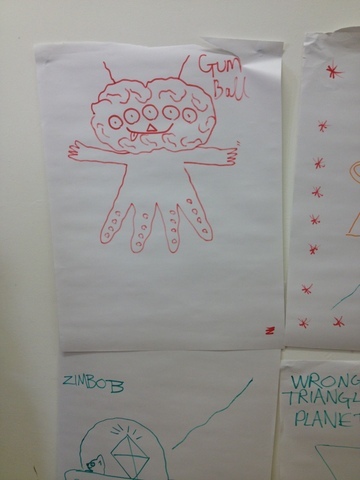 Their audience worked satisfyingly hard and the resulting narrative of Gumball the Alien Who Lives On Planet Triangle showed impressive streaks of originality and humour. 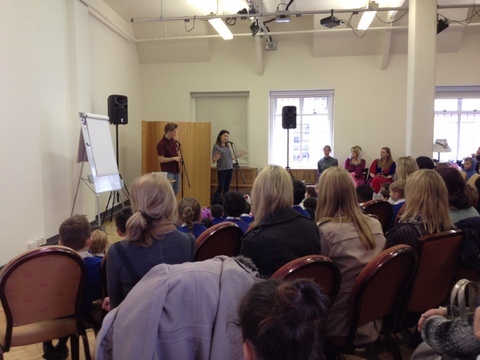 The children loved their day and I thoroughly enjoyed taking part in it. 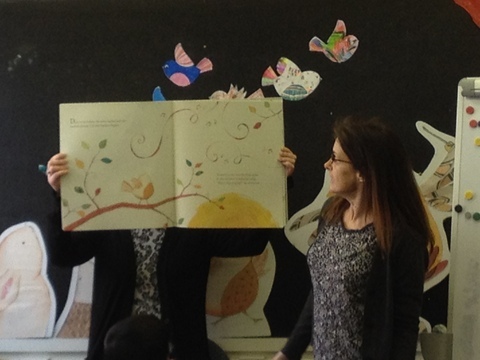 But it also gave me plenty to think about, not least the fact that picture books aren’t as simple as they look. All the requirements of believable characters, tight plotting, keeping-your-readers-guessing-till-the-end that are vital to fiction (for all ages) apply just as much to picture books. Both The Queen’s Hat and The Dawn Chorus have been shortlisted for the Waterstones Children’s Book Prize 2015 and you can see why: what appear to be light-hearted, straightforward stories have hidden depths that make you spot something new with each reading. As a parent who’s spent years of her life reading the same picture books over and over again I can’t tell you how important this is. It’s what makes The Very Hungry Caterpillar and Where’s Spot timeless. If Steve Antony’s and Suzanne Barton’s works don’t join the rank of picture book classics I’ll eat my hat.